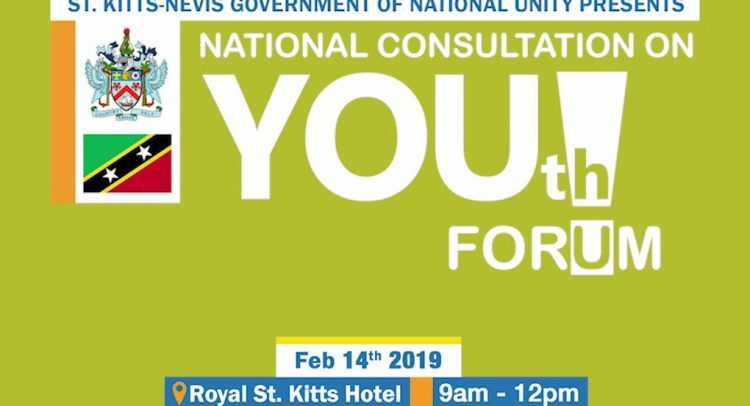 Three hundred young people, 200 from Nevis and 100 from Nevis, between the ages of 12 and 35 years have been invited to the open engagement with the government leaders. Chairman of the Organizing Committee, Azard Gumbs, noted that the participants include students from secondary schools and tertiary institutions, members of youth organizations, differently-abled youth, youth from faith-based institutions and others. The leadership of the schools, organizations and associations independently selected its representatives. At the end of the Q and A segment, Deputy Speaker of the National Assembly, Akilah Byron, will make a five minute presentation on recommendations to parliament regarding youth development. There will then be a 10 minute Q and A. Lunch will be served at 12 p.m. and then the dismissal. The Youth Forum forms part of a calendar of activities commemorating the fourth-year anniversary of the Government of National Unity’s assumption to office. Other celebratory activities to come include the National Volunteer Day on Saturday, February 16; Church Service at the St. Pauls Anglican Church, Nevis on Sunday, February 17; Church Service in St. Kitts at the Zion Moravian Church on February 24; and a Gospel Concert at Greenland’s on February 24.